The room that many of us go to clean up often turns into the messiest, most cluttered space in the house. No matter the size of your bathroom, it’s important to have a designated spot to house your linens, toiletries, and spare cleaning products. Get your space — master bath, powder room, or both — under control with these shelves, which range in style and price. And while you’re it, turn your bathroom into a zen zone with these organizing tips and tricks. 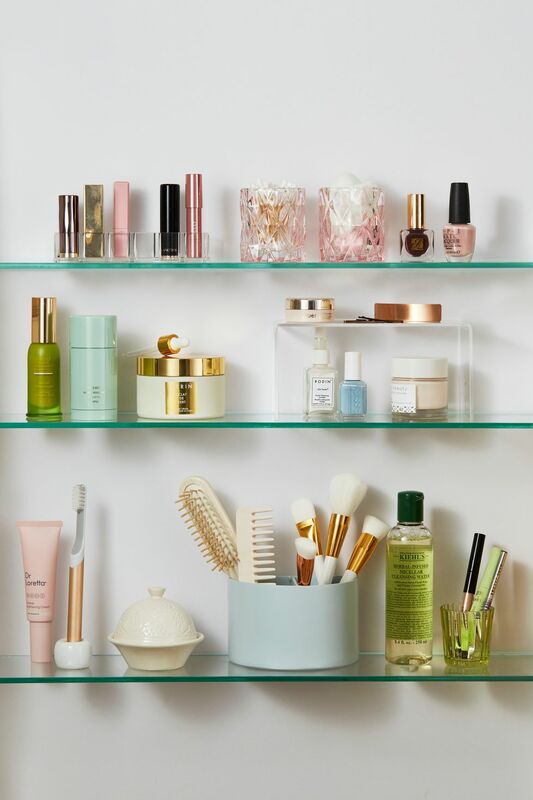 Your beauty splurges deserve to be on display, so leave ’em out in the open on a set of clear floating shelves. Keep everything you need — towels, toilet paper, and more — within arm’s reach on easy-to-assemble etagere. 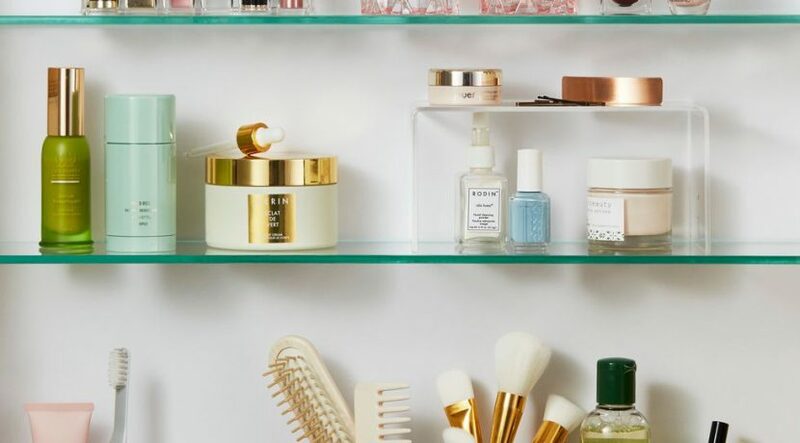 Forget the booze: Stock a bar cart with baskets full of your bathroom necessities, especially your growing bath bomb collection. Think up not out: Turn an old wooden ladder into a shelving system by hanging wire baskets to store toilet paper, air fresheners, or even some greenery. Open shelves encourage you to keep your towels and toiletries tidy. Instead of wasting precious floor space, the built-in kind keeps everything tucked away and off the floor. Combine fashion and function with a simple shelf perched above the toilet to bring some warmth and style to your space. Short on wall space? Hang chic storage system, which holds towels and toiletries, on the inside of your bathroom door. If you have young kids, cabinets are the best option. Closed doors, however, can lead to clutter. Prevent stockpiling and protect fragile items by putting them behind a rustic wood and glass cabinet. All good things come in threes, especially when it comes to shelves. Instead of going for a dark, heavy look, brighten your space with this three-tier black and white shelf.